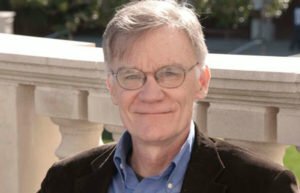 David W. Blight is Class of 1954 Professor of American History at Yale University and Director of the Gilder Lehrman Center for the Study of Slavery, Resistance & Abolition. He is one of the nation’s foremost authorities on the US Civil War and its legacy. He is the author of A Slave No More: Two Men Who Escaped to Freedom, Including Their Narratives of Emancipation, (Harcourt, 2007) and Race and Reunion: The Civil War in American Memory (Harvard University Press, 2001), which received eight book awards, including the Bancroft Prize, the Abraham Lincoln Prize, and the Frederick Douglass Prize as well as four awards from the Organization of American Historians, including the Merle Curti prizes for both intellectual and social history. His book, American Oracle: The Civil War in the Civil Rights Era (Harvard University Press, published August 2011) received the 2012 Anisfield-Wolf Award for best book in non-fiction on racism and human diversity. He is currently writing a new, full biography of Frederick Douglass.